Adventures with Kathleen: Ullswater - Old Gaffers Assn. It's the Old Gaffers Association 50th anniversary this year and they have been holding a series of events during the year. The last of these was held at Glenridding on the shores of Ullswater, in The Lake District, over the weekend of 13 - 15 September. A few of us managed to get a short sail in on Friday, before it got dark, as the forecast was for very poor weather on Sunday, so we were keen to get as much sailing in as possible. The wind on Saturday never really settled and although there was a couple of races, it was just very pleasurable to sail in such a wonderful location. We managed to sail around to Howtown, where there is a free public slipway. However, the parking is very limited and it is accessed down a single track road, that runs from Pooley Bridge, past Ullswater Sailing Club and on to Martindale. If you went early in the morning you would be fine. Another option is to camp at Watersideside House Campsite but the slip here is quite small and although you'd be fine with a smaller boat, a Coaster may be a touch too big. You can use the facilities at Glenridding at other times, but it's not the cheapest. 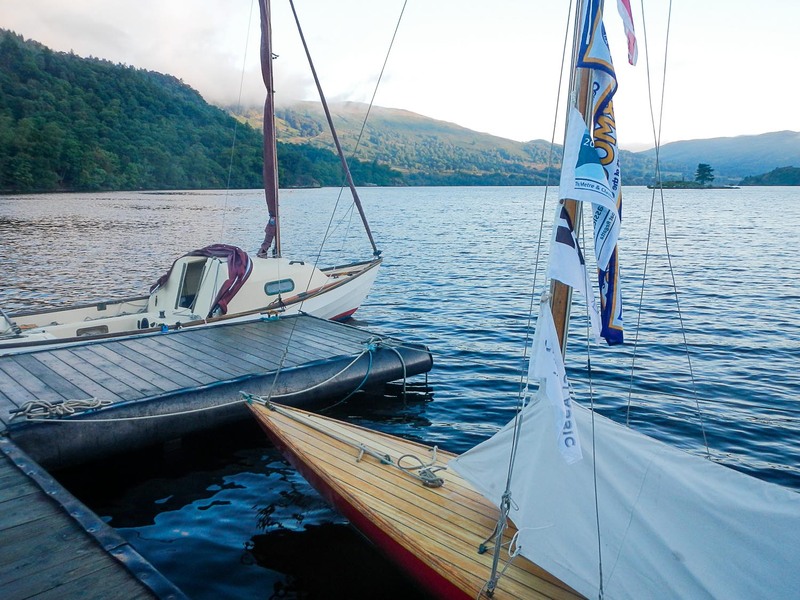 Another option is to join Ullswater Sailing Club as a temporary member for £38 for a week, which seemed a good price, with plenty of parking, good facilities and concrete slipways, although limited mooring. There were a few other Drascombes present during the weekend, but only one Coaster to keep Kathleen company. The other boats were a varied mixture but many had been built by Character Boats, in Lytham, Lancashire. These are traditional styled boats, based on the local fishing boats, built using modern materials. The one thing that nearly all the boats had in common, were tan sails. The Saturday evening was a very relaxed affair, with a prize giving and communal music. Many thanks to the OGA for organising the weekend.